Sunday 30 March - Flat racing is back! 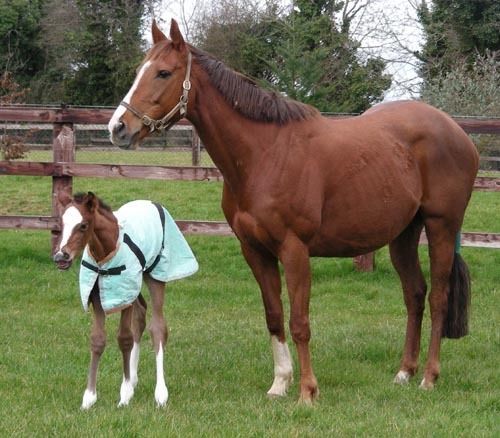 Stariya with her filly foal, 12 hours old. Happy days as the Irish flat season is officially opening today! 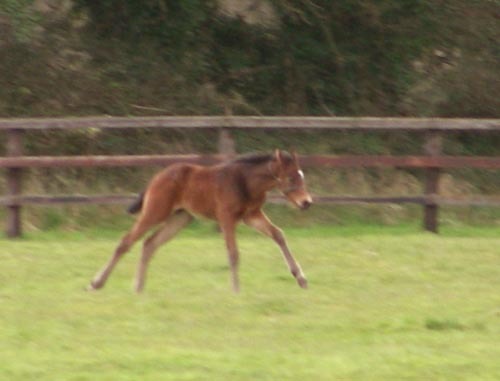 Happy days also because Stariya produced a lovely filly foal by Barathea on Thursday night. The weather has been truly awful but the mare and newborn foal have been out quite a lot. Hills and her foal meanwhile, are braving rain, snow and hailstones without any fuss. Miss Shaan is not so sure about the weather and continues to postpone foaling. 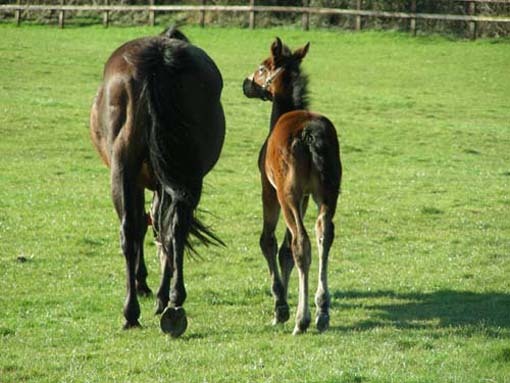 She has nearly been carrying her foal for a full year now. 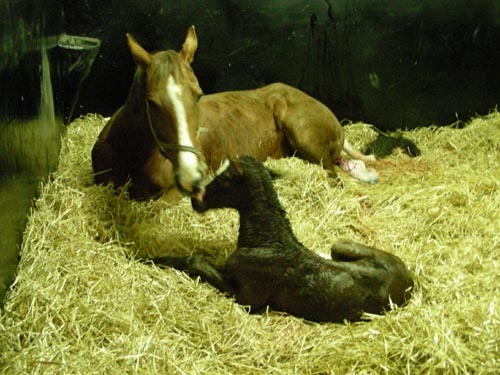 We must continue to wait patiently, night after night, for Wide Range and Miss Shaan to foal! Update: Joerg Vasicek\'s Marju Filly Marjalina gewinnt erstes Gruppe-Rennen der Saison. Wir gratulieren! Romandie wurde heute morgen von Marju gedeckt. Das kann ja nur gutes Omen sein! Hills and her Celtic Swing colt out this morning and practising to be a racehorse!